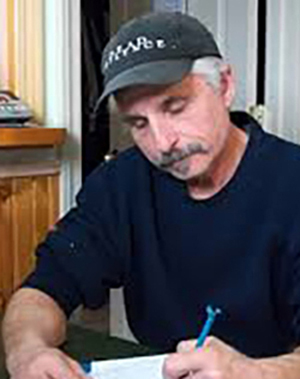 Let the work begin: James "Jim" Szwedo at work on his 12 point plan. Let the fun begin: Mayor Paul Dyster, at work on a taxpayer-funded keg of beer, has no casino spending plan because, as he says, "It's not taxpayer's money." He has blown through more than $100 million of it yet some residents do not have water in the winter, trash is all over the alleyways and vacant lots, hundreds of homes need to be demolished and the streets are a pot-hole riddled disgrace. 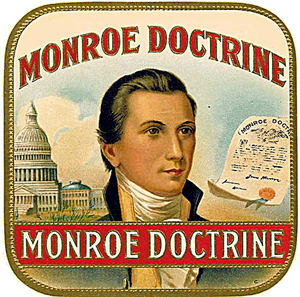 At least it was a plan: The Monroe Doctrine (1823) stated that further efforts by European nations to colonize land or interfere with states in North or South America would be viewed as acts of aggression, requiring U.S. intervention. In the history of mankind, there have been many plans. The Marshall Plan provided for the rebuilding of Europe in the wake of World War II and the Dalai Lama’s Five Point Peace plan of 1987 provided a groundwork for world peace. Now, embattled Republican primary mayoral candidate Jim Szwedo (See related story) has come up with a plan of his own. Entitled “The People’s 12-point Plan,” Szwedo believes it to be the key that will unlock the door of the city’s future. It all starts off with restoring the position of city budget director, an unelected position with the authority to approve or deny the various city department heads budget line items. Point Two is even more interesting. Szwedo is advocating a forensic audit of all city finances. Since a forensic audit is defined as an examination and evaluation of financial information for use as evidence in court, and that a forensic audit can be conducted in order to prosecute a party for fraud, embezzlement or other financial claims, Szwedo clearly believes that some criminal activity is occurring under Mayor Paul Dyster’s City Hall regime. Third, Szwedo told the Niagara Falls Reporter that he believes the city’s Water Authority is an example of bad government in action. Control of the city’s water and wastewater treatment facilities must be returned to city control, he said. Interestingly, it was Dyster, then a city councilman, who led the charge to create the Water Authority in the early years of the present century, when former mayor Irene Elia held sway. As her biggest cheerleader on the council, Dyster served as point man in the scheme to create the authority, so that the mayor and council members could no longer be blamed for the annual increases in water and sewer costs here. Szwedo also thinks that a municipal tourism office should be created here, and paid for using casino money. The city funded the independent agency the Niagara Falls Convention and Visitors Bureau, which was funded with money collected in hotel bed tax. Presently the city pays 80 percent of the bed taxes (about $1 million per year and 7 percent or $1 million of casino cash) for the secretive Niagara Tourism and Convention Corp., a quasi public entity essentially under state control that now oversees those areas, has proven to be a controversial and costly alternative and with no accountability to the city. Because Dyster has managed to spend more than $100 million in casino revenue since taking office without a single, good paying private sector job to show for it, Szwedo also advocated the establishment of something he calls a “casino revenue board,” to monitor casino spending and develop a schedule for future allocations. Szwedo also believes that the city’s share of casino cash revenue should be renegotiated, something that will happen in 2016 regardless of who is sitting in the mayor’s office. Currently, the city receives 25 percent of New York State’s 25 percent of the Seneca Niagara Casino’s slot machine revenue annually. Szwedo said that if elected he will fight hard and demand a greater share of the casino cash for Niagara Falls. Szwedo advocates a realignment of the city police department using casino revenues that would place more officers on the streets and fewer sitting behind desks. He also believes that the Niagara Falls library system should benefit from a direct infusion of casino cash rather than subsisting on the rapidly shrinking pool of actual taxpayer funding City Hall receives annually. An end to all stipends for city employees, the establishment of fixed salaries across the board, would result in the city being able to plan at the beginning of the year how much will be spent by the end of the year, Szwedo believes. And the establishment of a municipal parking system, run by the city and not some outside contractor, could only be construed as a benefit, he added. To promote small business, Szwedo would establish a system of business tax credits in targeted are along Pine and Buffalo avenues, and Main and Niagara streets, again using casino cash to provide grants and low interest loans for entrepreneurs willing to invest in those troubled areas. Finally, Szwedo recommends a complete inventory of information and technology devises in the hands of city employees, who has them, how much they’re using them and more. Will Szwedo’s comprehensive 12-point plan sway primary election Republican voters in the upcoming contest?